Creating an energy efficient computer is good for your wallet so if this is what you're after you may be interested in MSI's new ECO line of motherboards. These new motherboards will be marketed as mainstream boards that offer an essentials-only feature set. 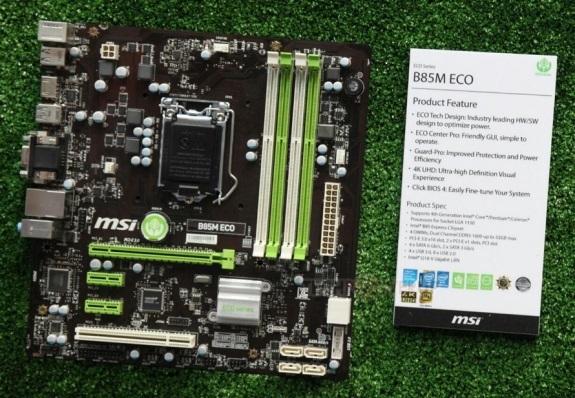 The ECO motherboards removes components that are rarely used by mainstream users and cuts down greatly on costly dyes and over-the-top packaging materials. Energy efficiency is also a big deal, the motherboards feature efficient VRM designs and come with software to further enhance power efficiency. 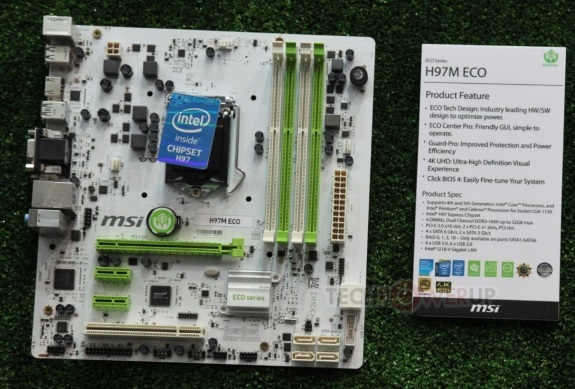 MSI unveiled three ECO products, the H81M ECO, the B85M ECO, and the H97M ECO. The latter one looks quite unique, it has a white/green color scheme!